A research scientist with the Prairie Swine Centre says aggression, one of the key challenges in working with group housed sows, can be curbed by providing various forms of enrichment. As part of Canada revised Pig Code of Practice, swine producers are being encouraged to enrich the environment of their pigs by providing such things as the opportunity to socialize with other pigs, toys to play with, straw or wood to chew or even the opportunity to interact with their human caregivers. As part of research being conducted on behalf of Swine Innovation Porc, a multi-disciplinary team of scientists is looking at the potential benefits of enrichment. Dr. Jenifer Brown, a Research Scientist Ethology with the Prairie Swine Center, told the 2016 Manitoba Swine Seminar last week, there hasn't been a lot of research specific to sows with regards to enrichment. Most of the research that has been done has been focused on grow-finish pigs. In that context certainly they've been shown to reduce fearfulness in animals. An animal that's had more varied experience in terms of a more enriched environment is going to be easier to handle, so move down a hallway when they're being loaded. They'll have reduced stress response at transport to market and then, especially, you will see reductions in behavioral vices so tail biting, ear biting and those sort of behaviors that are definitely negative and that's why we see this focus on research in grow-finish pigs. But now, with the move toward housing sows in groups, there's definitely more interest in how do we provide enrichments to sows because these also can reduce aggression at mixing which is an issue with group housed sows. Dr. Brown says research has shown definite benefits from providing enrichment when animals are mixed because they're gong to spend some of the time that they would otherwise be fighting with each other exploring the environment and interacting with enrichments. 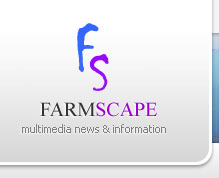 For Farmscaope.Ca, I'm Bruce Cochrane.